Shepherd Offshore is one of the leading crane hire and material solutions companies in the UK. Our service offering combines the experience and skill of our highly-trained operatives with a versatile and comprehensive array of cranes, plant and equipment. Our management teams understand the individuality of each project we work on and are available for site visits and to advise you on the best-fit solutions for both routine and specialist heavy lifts. We have unrivalled product know-how and experience which allows us to provide industry-leading project management, one-off crane hire or contract solutions on any scale. Our diverse range of lifting services mean we can meet your exact requirements whether you need single or complex lifts on-site. Our Project Management & Technical team will be happy to advise on the best-fit solution for routine lifts to the most complex projects. We believe we are one of the leading crane hire & material handling solutions companies in the UK, due to the excellence of our staff; in particular our Project Management & Technical team. Our management system allows us to seamlessly assess safety, health, environment and quality into the daily processes that we work with. Operating an ISO certificated Quality Management System and using the ISO standard as a tool for driving continual improvement, we aim to provide the best service 24-hours a day, 365 days a year (subject to notice and agreement). Our years of experience means we’re well rehearsed in both basic and complex material handling solutions, both within and outside our deep-water facilities. With our extensive skills and knowledge, we oversee our management system, assessing safety, health, environment and quality controls alongside daily processes. Our project management and technical teams are each equipped with CAD, lifting software, and supportive expertise, which enables us to plan and manage risk through a robust and practically designed system. We asses all variables to allow for the most efficient and stress-free completion of your lift. Operating an ISO certificated Quality Management System, we aim to provide an excellent service 24-hours a day, 365 days a year, and use the ISO standard as a tool for driving our continual improvement. We plan all lifts in accordance with BS7121 Standards, and our teams further appreciate all external variables, focusing upon the protection of both people and product. Shepherd Offshore’s experienced project management and technical teams work to support you from planning to concept to implementation. 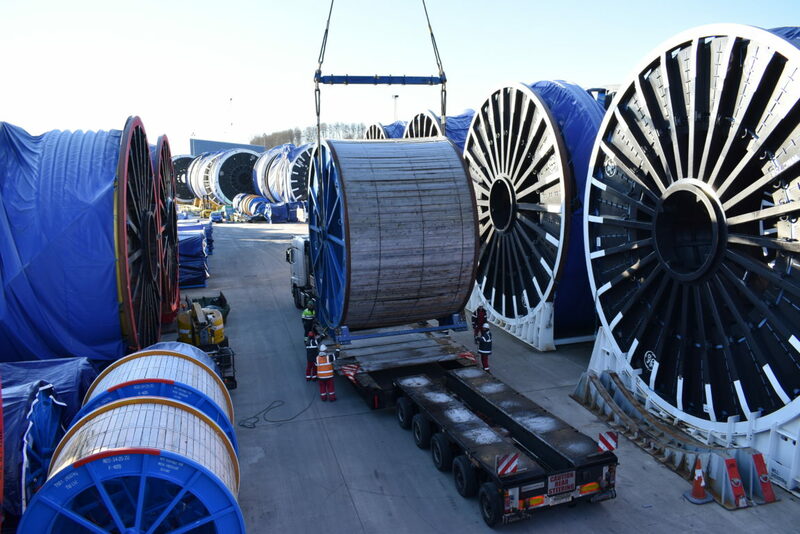 From the lifting & handling of raw materials for production, to value adding services during production, final completion and material handling of your product, heavy reels for umbilical, flowline & steel rope industry, to the complex transfer of umbilical or flowline ends and the delivery & erection of wind turbine components. Our turnkey solution supports you from enquiry, through to delivery – on all levels. We understand that keeping our lines of communication open is vital to the success of your project. To ensure that we can keep you up-to-date on your project’s progress at all times, our project management and technical team hold regular client enquiry meetings, reducing stress, saving time and providing peace of mind for all parties.